Hopefully you’re relaxing a bit and enjoying some time with friends and family… but hopefully you’re also taking some steps to up your coaching game and build your program! Summer’s definitely the time to do it! If there were a way to have a dramatic impact on your program with only a few hours of your time, why wouldn't you do it? Download this whole post and our FREE step-by-step action checklist to easily get the funds for everything on your coaching wish list. By now, I’m sure you’ve all heard about the announcement from the NFHS about the new uniform option for wrestling next year. Starting next season teams will have the *option* (don’t worry, traditionalists, the singlet is not going away!) to have their teams compete in MMA style “fight shorts” and a compression shirt. This should be huge news for us and what it allows us to do in terms of recruiting! I’m not so worried about my high school team - by the time a kid’s in high school I don’t feel most of them are basing their decision to try wrestling or not on whether they have to wear a singlet - but at the middle school level it’s a whole other thing! Think about your average middle school kid: these are probably the most self-conscious kids you’ll ever meet, couple that with the inevitable physical awkwardness that often comes with this age and now throw in a tight fitting piece of lycra… it’s like the “Perfect Storm” of challenges for coaches trying hard to grow their programs and get kids into the sport. I don’t know about you, but I can’t count how many middle school kids in my 15 years of coaching have cited the singlet as the main reason they don’t want to wrestle! 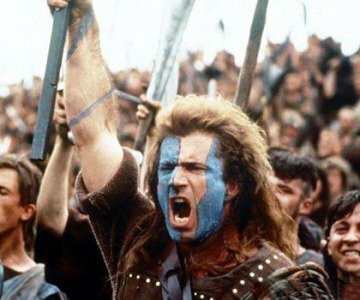 Even if that’s not their only reason, overcoming objections one-by-one is probably the most powerful persuasion technique out there! And the bottom line is: if we can’t get them in the door, we’ll never even get the chance to keep them in the door! Coaches, the NFHS just did us probably the biggest favor they could possibly muster up to help us grow our numbers at the middle school level, and if you’ve followed along here at WinSmarter, you know that recruiting at the middle school level is the key to being more successful in your HS program. And, for the time-being, at least, keep my HS team in singlets (hey, I’m a traditionalist at heart too!). Not only is the modesty issue suddenly out the door, but I can really capitalize more on the huge popularity of MMA and UFC to help get kids psyched about giving wrestling a try! Listen, we all know that wrestling is not exactly the same thing as MMA (although it’s certainly a part of it), but honestly, if that’s the connection I need to make to get more kids into our program to give wrestling in a try, then why in the world would I not leverage that as significantly as I can?? Now I’m not crazy enough to think that this alone will make all the difference in the world for my program’s numbers, but I do know that taking advantage of this opportunity together with our other solid recruiting strategies can make a huge difference! Heck, our middle school program went from 7 kids two years ago to 18 last year and 32 this year! For you math guys, that an over 450% growth in our numbers at the middle school level over the last two years! It’s also more than we’ve ever had before, and all in a school with only 150 kids per grade level and no substantial wrestling tradition! So this sort of stuff definitely works! I can tell you right now from experience, time invested in growing your program is ultimately the most useful time you can spend to improve your program. More winning, more success for your program, more opportunities to impact the lives of your student-athletes and develop men and women of character, and more satisfaction for you as a coach﻿! Isn’t this stuff what it’s all about? Ok, I get it… what next? Alright, so we’re on the same page here, being smart about using this new rule to our advantage can definitely help us grow our program. Now what? Well, my friend, I’m glad you asked! Budgets are tight these days! But what if there was a way, with a little bit of leg work this summer, to make this vision a reality? What if you could spend a little bit of time this summer (in between lounging at the pool, hanging with the family, running summer workouts and watching coaching videos!) to get yourself the type of results we had? If we’re gonna ask for money to purchase new uniforms, let’s first wrap our head around what that will actually cost us. For argument’s sake, let’s say we want to order 30 sets and the our cost including shipping is $2,500. Based on quotes from the vendors above, this should be more than enough - the average quote was $2,250 including shipping! Let’s change our point of view on this whole project before we even get started. Oftentimes, we limit our ability to come up with solutions by thinking about a problem in only it’s most obvious terms. For a lot of people, and I know I’m one of those people, by thinking in terms of dollars instead of any other way, a lot more potential ideas start popping up in my head. So let’s talk about that! Hey, our site is called WinSmarter for a reason! As a coach you realize success always requires hard work, but being smart about the way we approach it is often the x-factor between those that succeed at the highest levels and those who don’t. So let’s WinSmarter on this one! There’re lots of ways a program can find $2,500 for new uniforms (or anything else they might need! ), and I’m sure a bunch of them are popping into your head right now. I can give myself nightmares thinking about selling greeting cards, cookies, candy, wrapping paper, towels or some other piece of junk that no one really wants. It takes forever, it’s an administrative pain in our butts, our kids (and their parents) don’t really want to do it, and it really doesn’t make us that much money! Fear not! There are better, easier and smarter solutions to get you your new uniforms this summer! When our program needs money to get things done the key thing I think about is a little three letter acronym very familiar to those in the finance world: ROI. 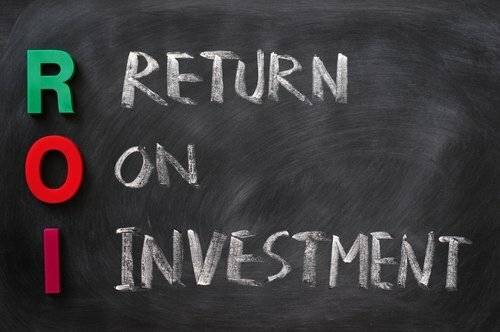 Real simply, ROI stands for Return on Investment. “Return” meaning the amount money coming into your program, and “investment” meaning the amount of time, energy and effort you need to invest to make it happen. The goal is to figure out what activities have the highest ROI for you… the highest return for the lowest investment. Starting to come up with any ideas yet? Summer’s almost here, so I’ll save you some time and give you The TOP 8 easiest and most lucrative fundraising strategies we’ve ever implemented! We’ve done all of these in our program and, collectively, they’ve brought in thousands and thousands of dollars over the years. The best part about it is they're all replicable and repeatable and none of them involve any fundraising companies where you’re giving away half your profits! Now, listen, I realize we’re all in different scenarios with our programs. We’re in different areas of the country, with different communities, different budgets, different demographics and different levels of school, parent and community involvement. The strategies that will work for some of you won’t work for others and vice-versa. That’s why we offer so many ideas, but I can tell you this: ALL of these have worked for multiple programs before and we’ve used every single one of them with success in our program! The idea here is to use this list for inspiration and get creative. The single best piece of advice I can give you is to read through these ideas and think "How can I make this work for me?" instead of “that won’t work for me because…"
That kind of solution-based thinking should honestly be the number 1 strategy on this list because that’s what will really allow you to get these working for you more than anything else. And it’s important because creativity counts! For most of us, the winning solution, isn’t any one particular strategy on this list, it’s choosing the right combination of approaches that really yields results. Hey, if you pick 3 strategies here and one nets you only $1,100, another $800 and a third $600, you still win! Alright, I think we’re ready to go, so let’s jump in! 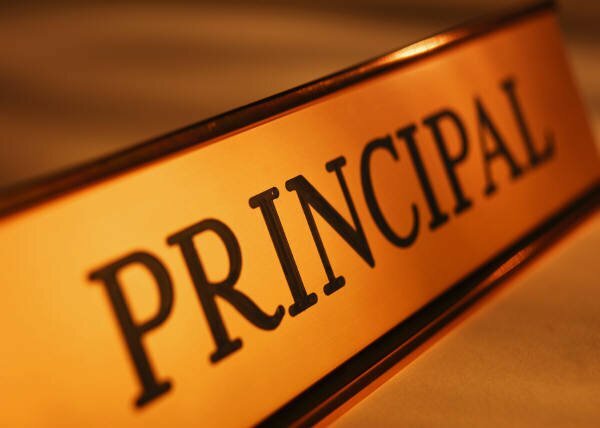 Like I said, we’re looking for the highest possible ROI, and there’s no strategy that takes less time than sitting down with your Principal or AD, depending on how things work in your school, and asking for the funds. The answer might be a fast “No,” but if you don’t ask, you’ll never know! Recruitment value - Make sure your Principal or AD understands that you’re not just looking to be the fashion trend-setters of the wrestling world. Let him know that this new uniform alternative was specifically introduced to help foster increased participation in the sport. Isn’t increased participation in all sports a goal of your athletic department? Future savings - Your uniforms will have to be replaced eventually. Most school’s replace uniforms for different sports on a time table so they are not hit with too large of an expense on any given year. If your Principal or AD is able to replace your uniforms now, he’ll be saving himself money later by pushing the need for future replacements back a few years. Adjust the wrestling budget - Is there room to re-adjust the wrestling budget? Is there room to get away with a little less mat tape or other types of supplies next year and free up some of that money for new uniforms? Partial funding works too! Last, but not least, ask your Principal or AD if these solutions might allow him to come up with some of the funds towards the $2,500 you need. Let him know if he can provide some of the funds, you can come up with the rest! Download the FREE printable step-by-step action checklist to make it happen. 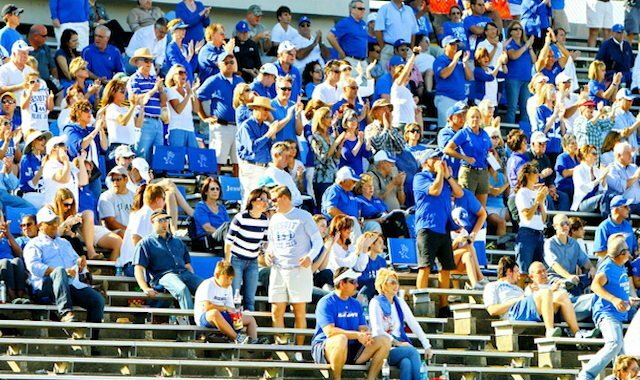 Whether it’s at district level, school level or even the sport-specific level, many of us have some kind of athletic booster organizations in our school. 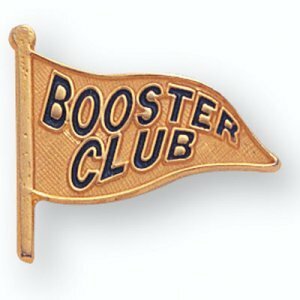 In my district we have a school-wide, all-sport booster organization that raises money to make purchases for various athletic programs that go over and above what our school budget is able to provide for. The way it works for us is that coaches make funding requests and the group meets monthly to decide what they’re willing and able to support. In most programs I’ve spoken with, wrestling teams very rarely reach out to these organizations to ask for monetary support - after all, we’re not a sport with a lot of equipment needs and we seem to have more of a figure-it-out-ourselves mentality! The fact is many of these organization are looking to support every program in the school, but always seem to get requests from the same few teams, so when a program they don’t usually hear from makes a request, they’re often happy to oblige if they’re able! When making the request to a booster club, just like when speaking with your administration, it’s important to let them know you’re not just looking for new uniforms. Help them understand that this rule change can potentially have a huge shift on your ability to grow your program and grow its success. That makes this project a win for the kids, a win for their organization and a win for you! And don’t forget that partial funding would work great here too! Maybe they can’t give $2,500, but how about $500 or $1,000? For many of us, an amazing source of untapped resources is reaching out to the local business community! Every business has a marketing budget, and most love to support local organizations, especially sports teams because of the positive values associated with them and the great good-will it creates in a community. The other huge plus is the sheer numbers involved. Looking at our first two strategies: you only have one school administration you can talk to and there’s probably only one booster organization to approach, but within just a few miles of your school there are likely dozens, if not hundreds, of businesses that would love to be potential sponsors for your program. As always, let’s think about this in terms of working smarter and not just harder. Don’t just get in your car and start driving door to door! A little strategy can go a long way. Think about what businesses are best to approach and make a list. We’re looking for businesses that have both the means and the desire to support our program. 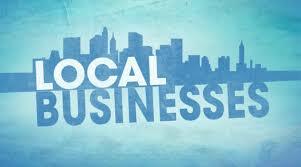 For starters, it will almost always be easier to speak to local businesses rather than national chains. Local businesses usually have a more entrenched connection to the local community, they have a stronger desire for their marketing efforts to specifically reach those who live locally and because they’re smaller, it’s much easier to reach the person who makes decisions and there’s much less red-tape to cut through. Hopefully, you’ve got your gears spinning with some ideas. Write them down now. Car Dealerships - big advertising budgets and looking for local reach! Military Recruiters - they love to be associated with athletics and wrestling in particular! Local recruiters each have their own marketing budgets too! Commercial or Service Organizations - like your local Chamber of Commerce, Elk's Club, Kiwanis, Lion’s Club, Rotary International, VFW, etc. Doctor’s offices/healthcare providers - think pediatricians, orthopedists, physical therapists, etc. Once you’ve made your list, start with the most likely candidates and reach out to them. I’ve found face-to-face is the best way to make it happen! When you do speak to them, make sure you talk about why it would benefit their business with increased exposure and good-will, not just why it benefits your program! What else can you do to help support their business? Give them a shout out at all your home competitions? Hang up a signs asking fans to please support their business? Mention them in your team program or journal? Email all your parents asking them to support these businesses? Depending on your school and on your community’s economics, this might be a solution for you as well. Deciding whether the kids will get to keep the uniforms after the season or hand them back in for use next year will obviously impact the viability of this solution too. In many areas, your wrestlers’ families may not have the ability to spend $85 on new uniforms for their kids, regardless. That’s ok too! One way I’ve seen this solution used with great effectiveness in many communities is asking each family to pitch in a smaller amount to help you get to your $2,500. Look at it this way: if you have 30 kids (the team size our $2,500 price tag is based on), and each family contributes just $10, you’re knocking $300 off that total very quickly - that bring’s the amount you need down by 12%! This is definitely one of my favorites! Every year our program throws a good old-fashioned cook-out and gets awesome results! All of our alumni recent and older and their parents, significant others, children, families, etc. We let everyone know it’s a fundraiser, charge a set price per person, and all the profits go towards our program! If you’re feeling up to it and you have some help, you can run it yourself with the help of your wrestlers and parents. This obviously takes more work, but you can make a lot more money towards your goal by keeping the expenses down. A local park or even your school grounds, if they’ll allow it, are great possible venues! What we do, that’s even easier, is have a local restaurant handle all the food for us. We found a place with an outdoor party area. They handle all the food and charge us a set price per head, we add a bit on top of that to the price and boom! 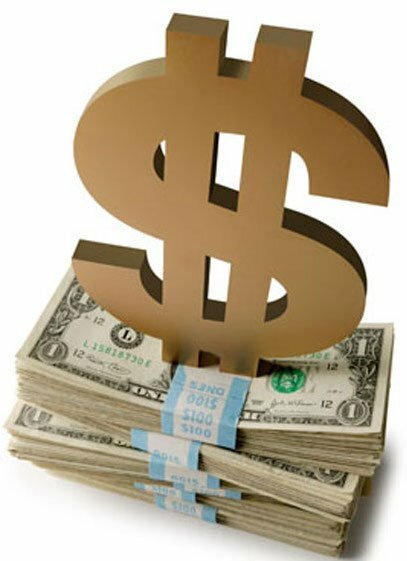 - Very little work, very little preparation and usually about $1,000 in profit coming into our program! It’s a great way to get your alumni back, get them engaged and get them involved in your program - there're probably some huge future donors out there! It’s a great way to engage your community and let them “behind the curtain” to see what your program is really all about! I guarantee this will help you with recruiting more wrestlers in the future! It’s a lot of fun for you too! Obviously, the way the numbers work with an event like this is that the more people attend, the more money you raise! Make sure you take the time to get the work out in advance! Emails, social media, in-school announcements and flyers around the community all help get you a better turn-out. Give ‘em another reason to be there! With a (hopefully!) large and “captive” audience, definitely take advantage of the opportunity to give a short talk as the head coach. The script practically writes itself: you can talk about the year’s accomplishments, the Hall of Fame inductee, the state of the program, the potential for the future… leave your kids, their parents, your administration (and potential donors!) fired up and excited about your program and its future! As this becomes an annual tradition in your program, you’ll start to see more and more alumni come out of the woodwork and show up. This is a great thing! Make sure your using this opportunity to meet them, talk to them about the program and get their contact info. You never know when any of them could help you out with donations, coaching or even just connecting with other alumni for networking, job searches, etc. 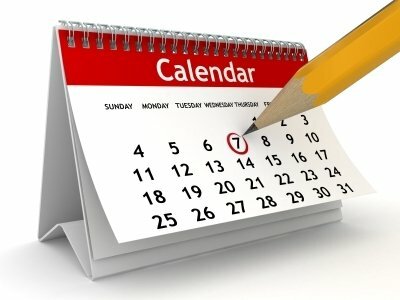 When planning your event, definitely pick a date that would maximize attendance. For example, we used to have our BBQ on Saturdays and realized a few years ago, in our community, that our attendance would be much better by having the event on a Sunday. I’d also recommend trying to schedule it during a time when younger alumni are back from college. These younger alumni always seem to heavily attend and it’s a great way to make sure they stay involved in your program without ever losing touch with them! The annual BBQ is something that has become an awesome tradition in our program, but if that doesn’t work for you for whatever reason, there are many other types of similar events you could look into to accomplish the same thing. I know of many other programs who throw events like pancake breakfasts or spaghetti dinners in their communities that work really well for them. You’re only limited by your creativity! Download the FREE printable step-by-step action checklist to walk you through this. If you guys couldn’t tell I’m a huge fan of finding fundraising options that benefit our program in other ways as well. This is another great example! How about throwing together a camp or clinic this summer to make some extra cash for your program? Now you can help grow your program, improve your kids and raise some money as well! Will this be for youth wrestlers, middle school wrestlers, high school wrestlers or some combination? Who will do the instructing and who will be assisting them? Can you use your school facilities? Who can you invite to participate? If our goal is to execute this strategy as simply as possible, I’d suggest running a clinic for youth wrestlers in your area. You can instruct the clinic yourself with the help of any assistant coaches and recruit your high school wrestlers to be “assistant coaches” as well! The format that's worked best for us is to have a late afternoon or early evening clinic for three weekdays in a row, with each daily session lasting about 90 minutes to two hours. Keep it simple, incorporate games and other fun activities and use it as a recruiting vehicle for your youth program! Get the word out ahead of time to surrounding communities using email, social media, flyers and word-of-mouth! In addition to the value you get out of this for recruiting, it’s also fairly easy to plan, low cost and straight forward to run! If insurance is an issue, look into either USA Wrestling or NUWAY, depending on your state. They both have affordable options to make this plan work for you! If you’re looking to get fancy, you can expand the length of the clinic, add multiple sessions, open it up to older kids or even talk to nearby college coaches to see if they’d be interested in being “guest clinicians” to raise awareness about their programs! 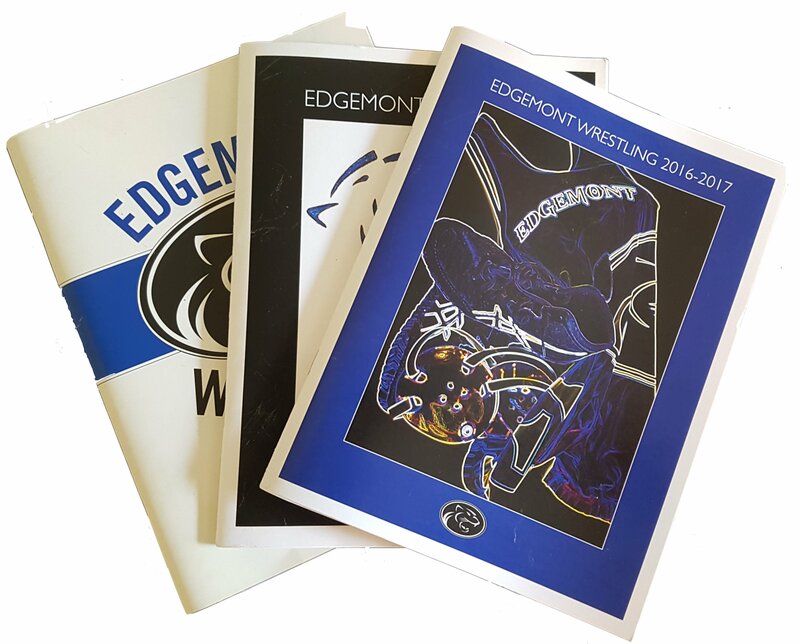 Creating an annual wrestling journal for your program is a great way to develop a sustainable revenue stream year after year! The first time you do it it requires a bit more effort, but it gets much easier from there! Essentially, this is going to be like a mini-yearbook for your program. You can include things like headshots and bio’s for each wrestler, team pictures, action photos, statistics, records, awards and program history. Not only does this create a great momento of each season for your wrestlers and your parents, but it also gives you a platform that you can use to sell advertising space. Individuals, parents or families can buy an ad to place “well-wishes” to the team or their favorite wrestler, but what works even better is the chance to sell ad space to local businesses! You can use the same list that you made in step 3 earlier as a starting point for businesses to approach. Here’s where delegation comes in handy as well. We have our entire team meet up at the school one morning, divide them up into 4 or 5 groups and assign them an area of town to go door-to-door asking business if they’ll consider placing an ad. We give them a letter from the coach explaining what it’s all about, copies of old journals for them to get a visual example and a rate sheet. It only takes a few hours and to really get our guys going, we create a competition out of it! The team that gets the most ads gets a free pizza lunch from the coaching staff when they get back! We’ve always been able to find a parent, wrestler, sibling or alumni that is willing to handle putting it all together into a format that’s ready to print and once you have it done once, it really easy to just plug next year’s info into the same template year-after-year! If that doesn’t work, it’s very easy to find freelance graphic designers online who can do this for you very inexpensively. Similarly, through the “magic” of the internet it’s very easy to find low cost printers that can print the journals up for you and ship them your way! If you’d like to see an example of our journal, or hear a bit more about finding graphic designers or printers, just shoot me an email at pete@winsmarter.com. So if you’ve made it this far, you deserve a treat. And quite, frankly, I’ve saved the best strategy for last. In fact, this strategy is so powerful that it’s allowed us to raise more funds over the years than all of these other methods combined! And that strategy is an email list. Yep. That’s right. 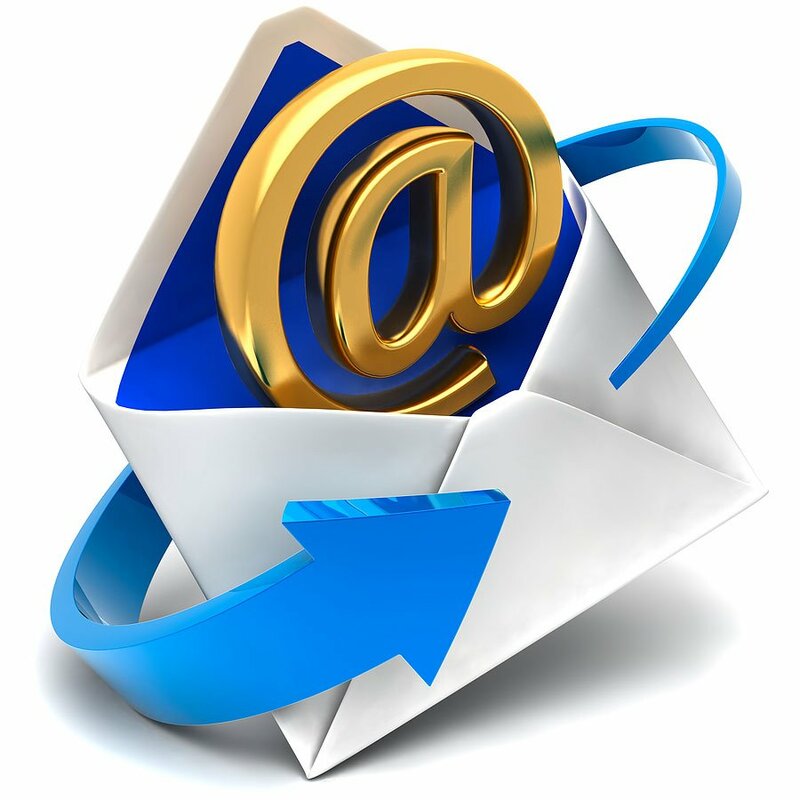 A plain, old, simple email list. Now it doesn’t happen at the snap of your fingers, but assembling an email list and using it to engage your program’s stakeholders with periodic emails is HANDS DOWN the most effective and highest ROI method of raising funds we’ve ever implemented. The craziest thing about it: not only does our email list grow EVERY YEAR, but the amount of money that we’ve been able to raise directly from this list has grown EVERY SINGLE YEAR since we began! All from periodic emails written throughout the season. Don’t believe me? 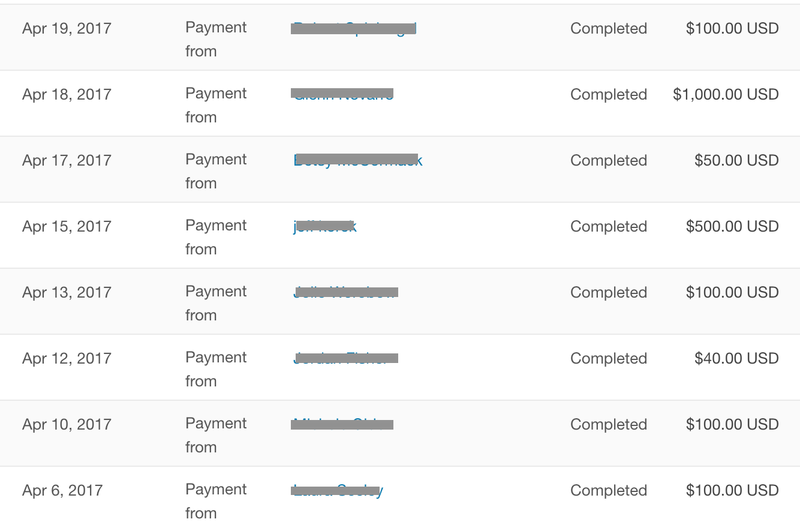 Here’s a screenshot of a few of our donations from our email list earlier this year. Well, there’s some very powerful psychology behind it. At its core, an athletic program is something very easy for people to get behind. Almost universally, people recognize the values athletics teaches and the character it develops help create great men and women. By sending people periodic emails, you're giving yourself and your program an amazing opportunity to pull back the curtain on your team for people that WANT to be your fans. You’re letting them in on the positive values and philosophies you support. You're introducing them to your athletes and coaches and their stories. You’re suddenly letting them be a “virtual” part of the journey, the struggle and the growth. This is about as compelling and engaging as it gets for people. By simply sending out these periodic emails, you’re creating an army of fans ready to jump at the opportunity to help your program, financially or otherwise, when you ask. It’s really easy for this to sound overwhelming, but the truth is with a sound step-by-step blueprint you can implement this strategy as well. By investing just a few hours this summer, you can get an email list up and running now and have it start paying dividends to your program for years to come. The FREE step-by-step blueprint is right here! This article features many of the most practical, actionable strategies we have for you. In fact it's over 5,000 words long, which can make it a little overwhelming! Get your own printable PDF copy of this entire post to save forever on your computer or print out for later! Get the printable Initial Action Step Checklists for all 8 of the strategies in this post! Get our step-by-step blueprint to get your email list started with a few hundred names in just a few hours - even if you have no idea where to start! Learn exactly what to include in your emails, how often to send them and how long they should be - so there's no guesswork left for you! 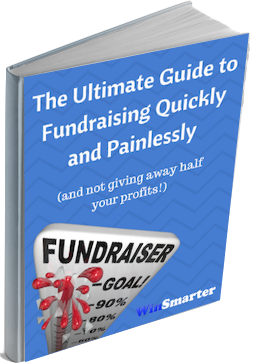 Learn how to turn your list into a fundraising machine that works better and better for you every single year! Questions about any of this? Shoot me an email ﻿and ask! I’m happy to help! 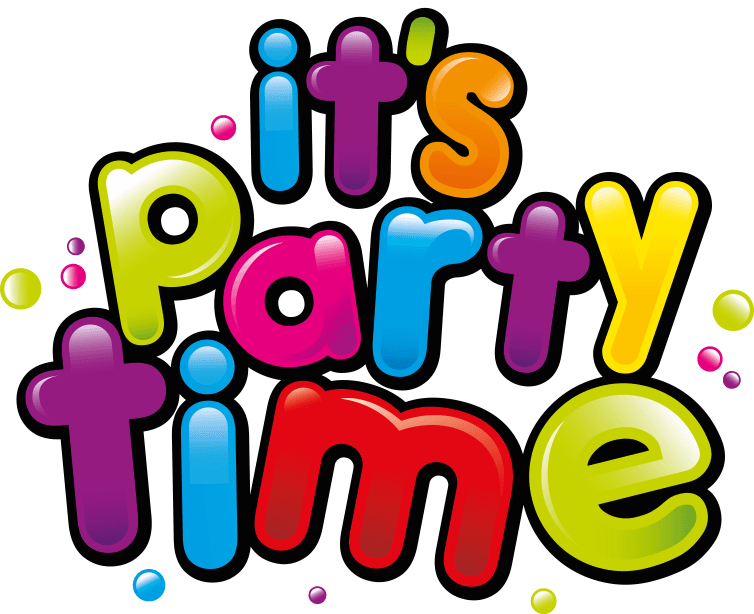 Let me show you how to raise thousands of dollars for your program quickly, easily and painlessly. This is the single best, most detailed resource for team fundraising on the internet. Download your FREE guide and start​ building your program today. Just let me know where to send it.